Do understand the most powerful advertising technique on the Internet is showing up in organic search results (ideally first page, in the first three results). Do understand that Wordtracker.com is currently your best tool along with Pay Per Click suggestion tools (from Google, etc) to discover which search terms get the most search volume. Do understand that Pay Per Click search ads provide your next best set of Internet advertising techniques after organic search engine placement. Do understand that text links almost always outperform banner ads as advertising techniques because they look more like content and people are used to clicking on content (text links) far more than ads. Do understand that Internet display ads perform best with flash animation, motion, or video. Do understand the eye reads top left to bottom right and that impacts your click-through rate depending on where your text links or display ads are on the page. Do understand that the page upon which the consumer clicks is just as important than the ad or link that got them there. Do understand that improving or optimizing your own pages and your own site has more impact than optimizing your advertising techniques in text links or display ads. Don’t underestimate the importance of this sentence above. Don’t assume that just because you built a website people will visit it. Don’t underestimate the power of words: You, your, asking a question, amazing, discover, now are all proven “power” words that produce far higher response. See more on this down below. Do use a stamp vs. a bulk mail endicia – Open rate on envelopes with physical stamps is 13% higher. Do make your letter look like newsworthy content – Content gets read, not advertising. Do attach news articles blown up to fit on 8 ?” x 11” paper as an attachment to your direct mail piece. If you are using a card vs. letter, use 6” x 9’ stock or larger. Do not use any “special offer inside” language on your envelope or “hey look at me” advertising techniques when using a letter envelope. Do not use an adhesive address label unless it’s a label from Stamps.com or endicia.com. Do not use an 8 ?” x 11” letter in B2B direct mail, but do use A4 or executive sized stationary – higher read rate and higher response rate vs. full sheet letter. Note: this applies to anything to do with Direct marketing, Internet marketing, even memos to your boss. Do understand that the use of certain words are power words which produce results. Do use present tense – better response than past tense. Do understand that asking a question with the word you in it is one of the best ever advertising techniques. Do use TV as a way to legitimize your brand, launch your brand, or reposition your brand. When used prudently and selectively, it can be one of the best advertising techniques depending on your situation. Do investigate buying “remnant” TV media and making opportunistic buys for a fraction of retail prices. Do make sure your TV spot looks like nothing else on TV (in order to stand out). Do make sure you have a compelling offer, and a compelling newsworthy announcement. Do pay special attention to audio in your TV spot…recall of ads with music in the ad (not background music) produces higher recall and captures more attention. If you have people in your TV spots, do make sure to have them with their eyes looking right in the camera…the stopping power and attention rates are higher with ads that have people looking at you directly in the eye. Do have a response medium (website, telephone number, SMS number, etc). If you don’t, it could be one of your worst advertising techniques. Do understand that for response, early AM and late evening produce higher response rates (if someone is up at those hours, they often have nothing else going on and are paying more attention than normal). Do understand that the creative that you put into the costly media of TV makes all the difference in the world. A bad TV spot in good TV media can be one of the worst advertising techniques. So: do test your TV creative on the Internet before putting it on TV…or test at small levels before putting on untested TV creative in large media buys. Do understand one of the cardinal rules of TV creative: see and say. See the product when the words are said. P.S. don’t forget to show the actual product. See and say in TV is one of the most basic, but often forgotten TV advertising techniques. Do understand that likeability of ads (plus the offer) produces the highest correlation to sales. Do understand the basics of targeting, but index the cost per thousand impressions (CPM) with the index of propensity to buy your type of product/service (e.g. a TV show with an index of 180 for buying laptops @ $20 CPM is actually more expensive than a TV show with an 130 index @ $10 CPM). Don’t always do what you like…let the numbers dictate. Don’t accept mediocrity in your TV creative. Mediocre TV spots in costly TV media, is the most common blunder in all advertising techniques. Do understand that Public Relations is fundamentally different than advertising. PR is not necessarily in the genre of advertising techniques, but on average PR is 6X more powerful because people pay attention to content 6X more than advertising (that’s starting at 500% higher ROI). A great story: see the chapter in my book for the five most frequently written news stories in America. A great headline: consumers read headlines 19X more than body copy and the same is true for reporters you are pitching. Also know that the first 8 characters in your headline are more important than ever because a reporter only sees the first 8 characters in their Blackberry. Headlines are 19X more powerful than body copy—you should spend 19X more time working on the headline. Headlines should be less than 11 words. A great database: contrary to popular belief, it’s not who you know, but if you have a great story. Even if you know the editor of The Wall Street Journal, it means nothing if your story isn’t newsworthy. You need a large database blended between custom and a standard news reporter database. Reporters are everywhere today and so is the Internet. All reporters want great stories…you need a database not necessarily a chummy rolodex. Luck: yes. Reporters have 4-7 stories in various stages of development. If you happen to land on their desk when they just finished a story, it’s luck and the law of large numbers when sending/phoning a pitch. Luck is a factor. Test your pitch much like you would test a direct mail piece using the advertising techniques learned here. Test small, see what responds, and what doesn’t. Find out before you blast a big push which may not work. And my shameless self-promotion: everyone should know the five most frequently written news media stories in America. These five most frequently written news stories are in my book, Buzzmarketing. Do understand that a print ad which looks like an “ad” will fail unless you have an amazing offer (great discount, sale, limited time only). Without an offer, an ad that looks like an “ad” won’t get read. Do make your ad look like content (use the same font style and layout as the publication) or make your ad look like no other ad in the pub (reference Infiniti print ads from 2005 and Pfizer’s Celebrex print ads from 2007). Do understand that white space can stop people in their tracks, and produce a higher response rate. One of the greatest advertising techniques is white space. Do understand that a photograph of a person with their eyes looking directly at you produces a higher response than a photograph of a person with eyes looking elsewhere. Perhaps the most powerful of all advertising techniques in print, or even on the Internet. Do understand that a print ad with a “Drop Cap” gets read more than without one. Do understand that ads with lists and bullet points get read more than ads with paragraphs. Do understand that a photograph’s caption is extremely important…a good photograph can be the first thing a reader sees, and the caption the second thing they read. If the caption fails, they skip the rest of your ad…if the caption works, your ad gets read. Smart captioning can be of the most effective print advertising techniques. Do understand that copy in quotations gets read 13% more than without quotations. Do understand that ads delivering news value get read more than anything else. Don’t ever use a reverse print ad (black background with white font) it’s hard to read and has proven repeated lower response rates…one of the worst advertising techniques. Do understand that radio advertising works best with high frequency and proper timing. Do understand that the first five seconds of your radio ad may be the most important…a cell phone and the radio preset button is a moment away from avoiding your ad. Do understand that you need to say your brand name a lot more often than you would ever imagine in a radio ad (people daydream in their car), and you need to drill your brand name often. Do understand that reads from DJ’s get more attention because they seem like content from a familiar voice versus a stranger’s voice. Do understand that one of your most powerful advertising techniques is to produce fresh radio creative every week versus running the same radio spot for more than a week. Do understand that if it sounds like content, people will listen…if it sounds like an ad…people won’t. 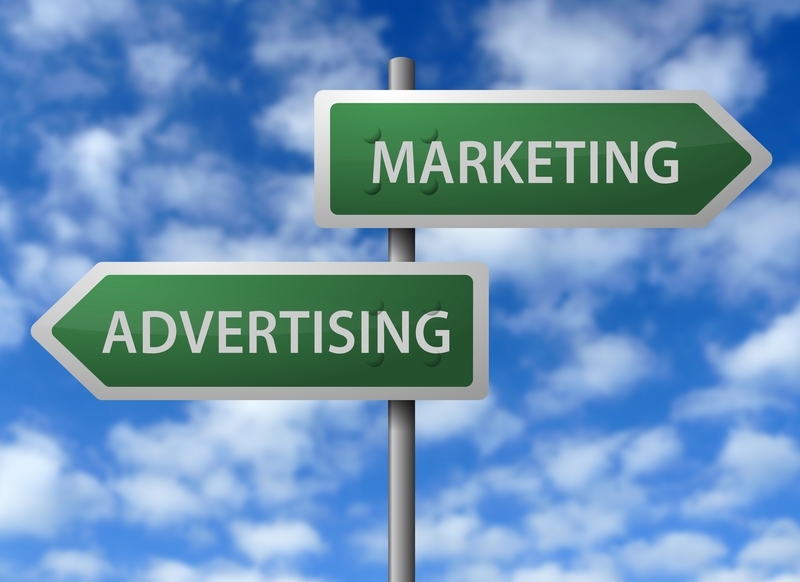 Note that word-of-mouth or buzz is created with pull, not “bought” like print advertising. Also note that this lost art which was practiced before the advent of Television is more powerful than any other set of advertising techniques (Euro RSCG Study found it 10X more effective than TV or Print advertising). Do understand that the root of all buzz is a seven-letter word: stories. The crux of buzzmarketing and word-of-mouth is to give people a great story to tell, which they, in turn, can tell others…and by them telling the story it makes them interesting, fascinating, and newsworthy. Do not confuse buzz marketing with some other services which pay people to talk about products (still a push technique). Buzz marketing is about creating a pull. Creating a story which gives people social currency. Buzz marketing is about creating a story which pulls a brand along with the story (like my own renaming of Halfway, Oregon to Half.com, Oregon). What creates a good story can be found in my book or in the free chapter download on this site’s book page. Buzz marketing happens when people start conversations that begin with “Hey did you hear…” or “Hey, you’re never going to believe…” and then they tell a story which pulls your brand along with that story. Hope these advertising techniques were helpful. If you think so, please bookmark this page. radio advertising works best with high frequency and proper timing. the first five seconds of your radio ad may be the most important…a cell phone and the radio preset button is a moment away from avoiding your ad. you need to say your brand name a lot more often than you would ever imagine in a radio ad (people daydream in their car), and you need to drill your brand name often. reads from DJ’s get more attention because they seem like content from a familiar voice versus a stranger’s voice. one of your most powerful advertising techniques is to produce fresh radio creative every week versus running the same radio spot for more than a week. if it sounds like content, people will listen…if it sounds like an ad…people won’t.